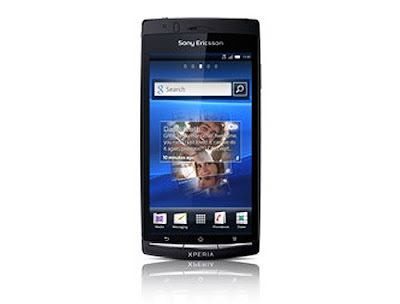 Sony Ericsson world largest mobile manufacturing company is providing best technical handset to the users. Now the company is going to launch Xperia series mobiles in India. The Sony Ericsson Xperia mobiles names are Xperia Neo, Xperia Play and Xperia Arc. The Sony Ericsson Xperia mobiles are available in pre-order. The Sony Ericsson Xperia Arc Price in India is Rs. 28,900/-. The Sony Ericsson Xperia Play Price in Indiais Rs 31,360. The Sony Ericsson Xperia Neo price in India is Rs. 32,000/-. 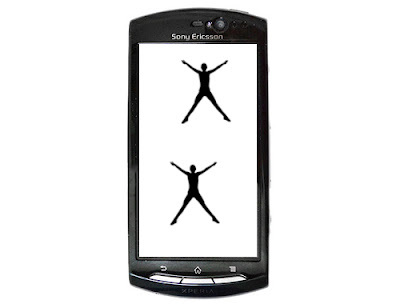 The Sony Ericsson Xperia Neo, Xperia Play and Xperia Arc features are tremendous and good. The stylish models are made for enjoyment facility. The models are having nice gaming service, entertainment service, Graphical service and technical service. The mobiles are built with large LCD display Touchscreen, high speed 3G networks, 1 GHz Qualcomm processor and fabulous camera facility. The Sony Ericsson Xperia Play review is available on the Internet. The Sony Ericsson Neo specifications are fabulous. The phone is having autofocus & LED flash function camera. The camera capacity is 8.0 megapixels. The mobile display is getting 3.7 inches (480x854 pixels) of size. The accelerometer and Proximity sensor facility is also available. The messaging facility of the mobile is very nice. The mobile is having up to 32GB expandable memory. The dimension of the phone is 116x57x13mm with 126 g of weight. The Sony Ericsson Xperia play specifications are powerful. The handset is PlayStation certified Smartphone. The FWVGA 4” LCD touch screen display is available. The 3D games and motion gaming facilities are available in this model. The Android Os v2.3, 1 GHz Scorpion processor is also available in this model. The dimensions of the model are 119x62x16MM with 175g of weight. The mobile supports up to 32GB expandable memory. The Handset is having JAVA, SNS integration, active noise cancellation with dedicated Mic and Digital compass facilities. The Li-ion 1500 mAh capacity battery is also given nice talk time service. The Sony Ericsson Arc specifications are commanding. The camera of the mobile is having 8 megapixels capacity with HD video recording capability. The handset is having 4.2” Multi-Touch Reality Display with Mobile BRAVIA Engine. The dimensions of the phone are 125x63x8.7MM with 117 g of weight. The mobile is having Google Android 2.3 operating system with 1 GHz Qualcomm processor. The Sony Ericsson Xperia mobile pictures are easily available on the internet. The models will be getting good response from the Indian market.